Order from a regular piece of fabric to, for example, of true Greek dress, you only need to cut and sew a few folds of the dress, along both sides from top to bottom. And this dress, it is possible to, without the prior patterns, and it will be beautiful to fit any body. In the end you'll have the most elegant outfit you made with your own hands. Using different methods of modeling the dresses without patterns, you can get different types of dresses depending on what color and quality of fabric you choose to create them. Start with the fact that the fabric is spread out on the floor, and find this piece of the middle, which draw the line a specially prepared chalk. This line will lie approximately at the level of your shoulders. Then, right in the center of this piece of fabric, you need to make a hole for your head, pre-drawing a horizontal line perpendicular to the center line. After that, start to cut the neckline with scissors, removing and hemming the thread on the edges. Next you need to "push through" the hole in your head and determine to what level you will deepen your cut in the neckline area. This cut can be stopped even under the chest, bandaging it with a special tape, but can be lowered slightly below the elbow on the floor, and have to use for the second tape and wrap it around your waist. After these exercises with the tissue, it will be free to flow on your feet, and will start off easy to save straight from your ribbon under the chest. After all marks for binder are ready, you can attach the shoulder line of the fabric with pins, which are then lifted and stitched thread. After that, the dress is almost ready, just have to tie it with a ribbon under the Breasts, and over your new dress at the waist, tie another ribbon. This type of dress is very similar to its Greek image, and it looks very attractive and original. The amount of fabric for the dress without a pattern depends on the product style. However, regardless of the style, the length of the cut should not be less than three meters. For dresses without a pattern suitable fluid, thin, light fabric. You must choose the fabric that does not crease, but at the same time keeps the shape. Fit a satin, silk, Jersey. Dress is an indispensable item of clothing. It is always able to change a woman forever, to give her an incredible femininity and elegance. If you are unable to purchase a dress of your dreams, you can sew. Take measurements and record in the table. Measurements should be taken into account the following parameters: bust, waist, hip, front length to waist back length to waist, arm length, shoulder width, breast width, breast height, breast-distance, deep neck, deep arm openings, the line of the hips from the waist, skirt length. Build a basic bodice pattern. To do this, draw a vertical line mid-front and back. Draw a horizontal line of the hips and move the waist line at a distance equal to the length of the hip line. Draw from the waist line of the breast at a distance equal to the depth of the armhole. Mark the point of the width of the chest. Put the values on the chest front and back and draw a vertical line through the resulting points. Mark the width of hips, length of front to waist from waist line, the length of back to waist from the waist line. Check that the middle of the Darts at the waist line of the front was at the most protruding points of the chest. Set aside half of the breast away from the line mid-front. The middle of the Darts at the waist line of the back should be at the distance of half the chest distance minus 0.5 cm from the mid line of the back. Draw the lines of the side sections with given constant values. Swipe Darts in the waist back and front given the constant and variables. Spend the neckline backless. Width of the neck backless equal to 6cm the height of the neck is equal to 1 centimeter. Draw the neckline of the front. Mouth width of the front is 0.5 cm larger than the width of the neck backless. Height equal to the depth of the neck, aside from the length of the front to the waist line. The beginning of the curvature perform, departing 3-4 cm from the beginning of the shoulder cut. Set aside 9 cm horizontally from the notch width of the neck, and from the point go down vertically 3 cm Connect this point with the notch width of the neck and get the slope of the shoulder cut. Mark the middle between the bust line and neck line on the middle of the back. 1 cm below, draw a horizontal line equal in length to half the width of the back. This is the width of the back. Spend a perpendicular line from a point the width of the backrest to the shoulder line. Put right 2 cm Is the shoulder line. Three of the resulting points draw a line of the armhole of the back. Draw a line from a point one third the distance from the neckline to the chest. This is the line width of the breast. Put horizontally from the middle front cut equal to half the distance of the chest+3cm to the intersection of the shoulder line. Guide from this point the line to the breast line. This is the first line of upper tuck the front. Make the skirt pattern. First, draw a line front and back of the skirt along the length of the skirt. Draw the waistline and the hips. Determine the solution of the Darts on the front and back. Determine the slant lines of the side of the slice. The solution of the Darts divide in half for front and back, then the result will reduce by 0.5 cm. Make two Darts on the back panel. The value of the solution tucks divide in half. Plotting points connect smooth, slightly curved lines. Draw the Darts in the front cloth with a solution of 1,5 – 1,75(cm), dividing the main at 2-3. Depth check during the fitting. The length of the Darts is approximately 7-8cm. You cut it to the width of the belt in grosgrain ribbon or according to your taste by adding 3 cm of the allowances. The length of the belt make 6-8cm more than the waist line on the skirt pattern without regard to tucks, for the manufacture of fasteners. Stitch the pattern pieces. The dress is ready. For shapes with a normal posture and a sunken tummy tuck on the front increases, and on the back is just as slim. For shapes with a girth of chest is 100cm to make additional tuck with a depth of 0.4 cm and a length of 5-6cm in the neck the back and under the girth 125cm – depth 0,7 cm. Pay attention to the constant and easy to remember the value of allowances and Darts is a much easier build cycles. Consider, why make a separate mathematical expressions, define them differently, as you prefer. It's hard to imagine the modern woman's wardrobe without a beautiful evening dresses, and don't have to pay for it in the store some exorbitant amount. Simple elegant dress with thin spaghetti straps made of nice flowing fabric, it may be appropriate and called for the ball, and in a common party. Fabrics for the future evening dresses is one of the most important stages of its manufacture. If you are not very confident in their abilities, can buy similar material from the cheaper category. After experimenting with it, you will be able to take into account possible errors and prevent their occurrence in future tailoring of the evening dress. Plus you will have two dresses, and it is still unknown which of them will eventually look more expensive and elegant. Measure the bust and hips sartorial centimeter, positioning it parallel to the floor. Add to the resulting value of 4 cm and divide by 2. For example, the volume of your hips is equal to 90 cm. To the resulting figure add another 1.5 cm for seams, this will be the width of your pattern. The length of the pattern calculate on the basis of the following parameters: 4 cm ACC on the bottom, 10 cm on the lapel at the top, plus the desired length of the future dresses from armpit. Cut two straight of the fabric, fold them face to each other, seal the sides with a pin or tack welding seam. Sew the details of the dress with each other, it is necessary to consider a caveat. Part of the joint located below the knee, have to keep open, otherwise it will be very difficult to move in a new outfit. Tuck dress at the bottom hem of his neat seam. Treat the cuts with a special emphasis on slots. Tuck also and the top of the dress 10 cm lapel inside, sew it at a distance of 1 cm from the edge, pass through the tunnel formed clothesline gum. The elastic band need not be taken too short, the dress should fit just snugly to the chest and in any case not to yank it open. Of the same cloth sew straps and attach them as you like. They can be very normal, laid transversely, or to represent a complex web, here already all depends on your imagination and ability to bring it to life. The dress is ready, you will only have to complete it with accessories. For example, an evening gown of very thin fabric well adorn a thin belt, tight waist. 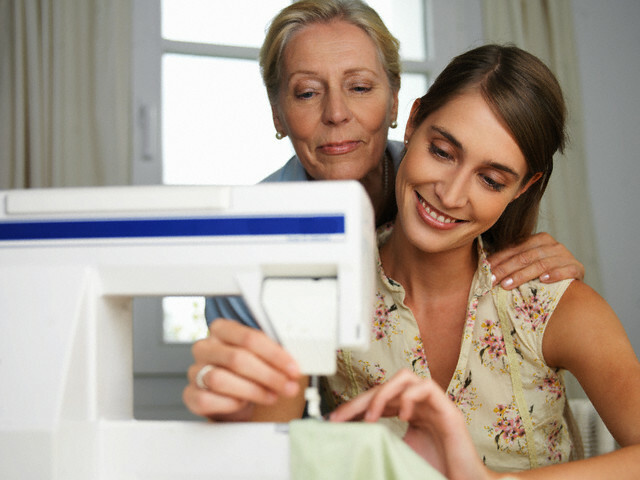 If you have no experience in sewing skills, do not select complex fabrics that require additional treatment. Don't be afraid to experiment and to decorate your dress with various decorations, e.g. sequins, travel, brooch and others. Dress the most attractive thing in a women's wardrobe. It helps to surprise, delight, attract and fascinate the male gender. Evening, cocktail, classic black – there are hundreds of variants, and each has its own peculiarity. Buying and the choice of this outfit quite often cause a lot of trouble. Fit, style, size, color, quality – it is necessary to try on dozens of models to find the only and perfect. However, you can look at the situation from the other side, and, saving their time and money to sew fashionable dress of your own. - a piece of cloth. Flip through the magazines on sewing and just fashionable glossy magazines to find your favorite model. Choose those dresses that have a simple cut, if you are a beginner in sewing clothes with their hands. Consider what you will wear the chosen outfit, well it will look on your figure, what are the best colors to choose. Then go to the fabric store to buy everything you need. Prepare the workspace. For cutting the required table or flat surface. Take care of good lighting and surface cleanliness of the sewing machine, namely, plates and legs, where the fabric might get dirty in the process of tailoring products. Fabric with sequins tailor a rectangle with a width of 18 cm and a length of about 90 cm. Fabric, it is desirable to use a flexible model bustier dress suggests the presence of tight-fitting bodice. Prostrochite side seam and finish on the serger. The top of the stamp tuck doubly and prostrochite at a distance of 5 mm from the edge. Set the speed line to a minimum, if such a function has your sewing machine. Otherwise, sew slowly, carefully lowering the needle, because when the sequins overlapping each other prevent a uniform course of the needle and the lines. Roll grey cloth, like a napkin, a square, so that the front side of the cloth was inside. Now tailor a skirt-sun. Skirt length may still remain arbitrary, and the base top free. The upper edge of the skirt preberite using thread-spandex. Then manually baste the top to the skirt, creating decorative folds on both sides of the product with the offset to the center. Try on dress, it must be fixed tight on the chest, not to recede and not to interfere with movement. If everything sits as it should, stand on heels and mark with chalk or pin the desired length of the finished product near the mirror. Sostrochite both parts, remove the basting, finish the edges. Focusing on the label of the desired length, primelite a straight line, leaving the seam allowance on the hem of one centimeter. Cut off the excess and abberate the lower section of details. Then, tuck the fabric and run the stitching at 0,3 mm from the edge. Dress can be decorated thin delicate strip of lace at the bottom of the skirt, the Flirty peek-a-Boo from under the main fabric. You can add decorative straps of rhinestones, beads or metal chains. Tutuila lines in the finished product, do this on the reverse side using white gingham cut or cheesecloth. Sequins in contact with the hot surface of the iron melt, be careful. 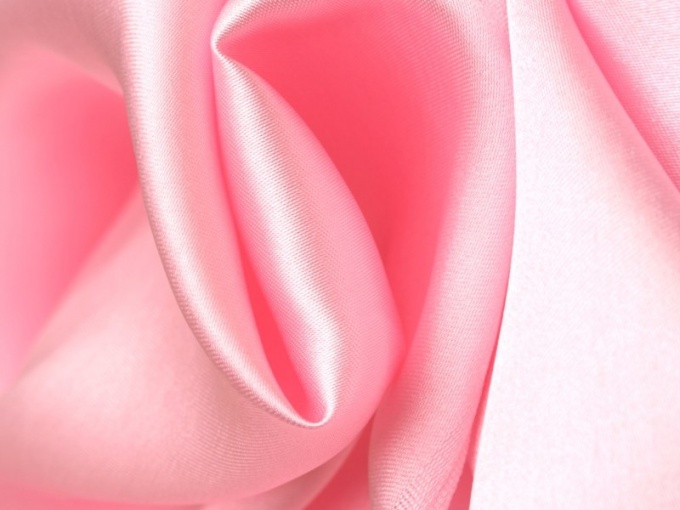 Choose flowy thin fabrics, such as crepe satin, double layer chiffon, watered silk, or stretch sateen. The cloth sleeve can be replaced by a lace trim, embroidered with beads and bugles. The dress can rightly be called one of the main things a woman's wardrobe. Modern women wear fashionable dress not only in the theatre or social events, but at parties and discos. Every girl can look amazing in a dress that flatters the figure and makes the image elegant and feminine. For sewing, choose a fabric dress. It looks very impressive dress, made of crinkle, especially if it is decorated with embroidery. You can emphasize the waist line and at the same time decorate the dress with the lacing of satin ribbons. Flying silhouette dress will attach the ruffle. From the selected fabric cutting the middle part of the front. From the chest line to the waist line mark on it on both sides of the six segments of the for loops. In these loops will be inserted satin ribbon. Also the lacing can be done on the back. Do the cutting of the two middle and side parts of the backrest and side parts of the front. Then cutting the two lower and two upper flounce. All items duplicate on the lining fabric. Details lining baste the top to the corresponding parts of the dress. Continue to work with smeshannymi details as with a single layer. Fold the face inward a forward bake. Back 4 mm from the bend and route the line. Then remove it and cut it into 12 pieces. From each part make a loop, baste to the middle part of the front. Front and back follow Princess seams. Side – attrocity close to the seams. Details of the back and front with stitch sides and shoulders. In the cut parts of the back viacyte hidden zip closure. If you decide to do the lace up back of dress, zipper on the side vsheyte. Sections of the armholes of the sleeves and neck treat with bias binding. Sew all the ruffles on the sides. The upper sections priamerica, bottom – sewn. Sew lower flounce to the lower cut of the cloth, and the middle one to the top. Sew two banners. The upper section priamerica to the length of the lower section of the upper part of the dress. Baste top flounce to upper cut the cloth. Sew the lining sides. Priamerica cloth on the top slice. Fold and pin the skirt to the top of the dress. Pin the lining to face the underside of the top. The lining and skirt together and sew to the top of the dress, then loosen down. The lining hem. Thread the satin ribbon crosswise in loops of the lacing and tie a bow or just double knot to the ribbon hang down. To quickly sew an evening dress, it is not necessary to call in a professional Studio. Enough to master with a needle or basic machine stitches, to show a little imagination - and a spectacular outfit for friendly parties you can make yourself. To speed, choose a simple pattern and try to avoid complex joints and other tailoring tricks. - optional: a piece of lace or mesh for the top of the skirt. Audits in their wardrobe. If you have a dressy skirt, it can be the basis for an improvised evening dresses. For the upper part – the bodice - buy fabric-companion matching colors and textures. When possible, choose a fabric with nedosypayuschie slices (e.g., lace), it will simplify the processing of the edges. Obmerte inch bust and take the rectangle of fabric. Provide allowances on the side seams and bottom parts cut 1.5 cm; upper hems leave about 2 cm of margin. Turn the canvas face down and run back connecting seam. After that, sewn the upper section by hand or on the serger, create the drawstring and make a straight line close to the edge. Thread through the top hem and narrow elastic or a beautiful lace tie. Sew the top straps and decorative braid. Sewn the lower section of the bodice. If it is made of nedosypayuschie paintings can leave the edge raw. Attach the bottom of the finished top part evening dresses the face to the underside of the belt skirt. Sew clothes manually hidden seam or lay on the front side of fabric decorative machine stitching. Look in stores, the so-called Jersey fabric-"stocking" - it is knitted cotton, closed in the form of a tube. Pick up the material the desired width and length, and you can do without the back seam. Enough to handle the top and bottom edges of the bodice. If appropriate skirts in your wardrobe was not, sew the bottom of the dress with her hands. It is recommended that a simple, yet striking pattern – "the sun". It is constructed in the form of a circle, the center of which a circle is drawn according to the waist girth and 3-4 inches to freedom fit. To build the pattern long skirt, you will need a wide panel. Narrow woven cut you cut it the product of two semi – circles ("pollutants"). 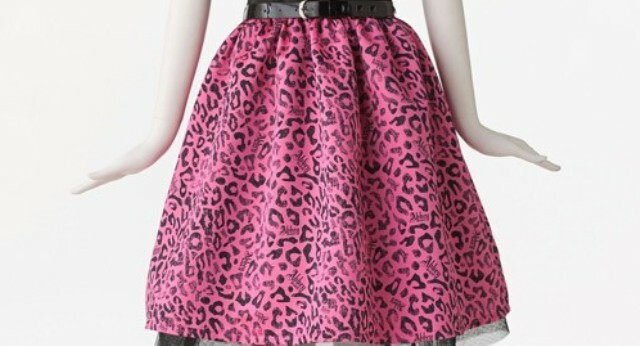 Sew the side seams (if the skirt consists of two parts); treat upper and lower sections. Connect the bodice to the skirt. If the junction of the two parts cut turned out unprofessional, veil it with a beautiful belt. His role may be the original strap, a scarf or a ribbon of a suitable design. If time permits, you can sew an evening outfit with double layer skirt. The lower part can be made from plain fabric, and the top of translucent easypayday fabric (lace, mesh). Lace bottom of the skirt can be cut according to the drawing; mesh edge it is recommended to sheathe the decorative braid in the same style straps. Really elegant clothes flatters the figure and makes invisible defects. Strapless dress in this sense is no exception. Its mission is to enhance the beauty of the shoulders. Sew an easy summer strapless dress even a beginner dressmaker. Manufacturer of evening dresses requires some experience, but if you want to stitch it too easy. If you just took up the manufacture of clothing, start with summer dresses. Suits, crepe, gauze, satin. Also suitable silk or fine fluid Jersey, but working with these fabrics has its own specifics. Measure the length from the armpit to the bottom line. As for the other measures, then you need to know the approximate volume of the thighs to correctly choose the width of the cut. She needs to be more of a full hip. In this case, to calculate the amount of fabric you need to the length of the product to add 10 cm to the processing of the top and bottom and 5 cm on kulisku, which will be located on the waist line. Drawstring top can make a one-piece, simply sew the top edge. Dress will be one seam at the back. If the width of the cut is less than the volume of the thighs, the amount of fabric will have to double. In this case, the dress will work with two side seams. Lay the piece on a level surface face down. Cut a strip for the middle kuliski. Divide the edges in half. Plotting points connect. This will be the waist line. She put off up and down 2 cm and a parallel line. Prepare medium drawstring. Fold the long edges 0.5 cm on the wrong side and zautyuzhte. Baste drawstring, and then pristrochite. You can immediately handle top edge. Fold it in 0.5 and 3 cm and pristrochite. This can be done on the front side of the finishing line. Sweeps and sostrochite back seam (or side two, if sewn from narrow fabrics). Hem the bottom. Insert the drawstring elastic clothes line. The dress is ready. Evening dress better sewing of thick fabric – velvet or thick silk. For this, you need another pattern of the corset. It is best to order it in the Studio, since the production of such a pattern – it is quite labor intensive and also requires great precision. Put the corset pattern on the graph paper. This pattern is usually made to the hip line, that is to the widest part of the figure. The pattern should be extended to the expected length of the skirt. - handle the top and bottom. This dress holds in the figure due to the cut. What is needed, therefore accurate pattern. If you are going to wear a dress with a belt, can do without the drawstring at the waist. Evening dress can be made and combined with a low waist. 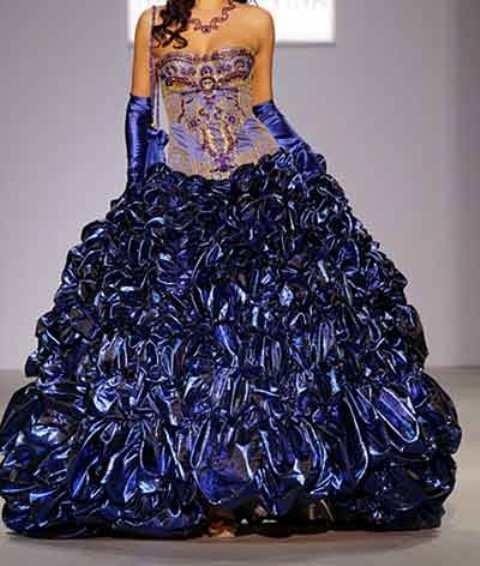 For example, the top may be made of velvet, and the skirt is made of chiffon, silk and even tulle. Summer is the perfect time for new clothes, sewn by their hands. The more that make it very easy, even for novice knitters, because some models do not require patterns and are sewn in an hour. To sew the summer dress casual style, the first thing you need to determine the length of products: floor, mid-length or mini. The most advantageous for the proposed cut is Maxi length (1.5 m). 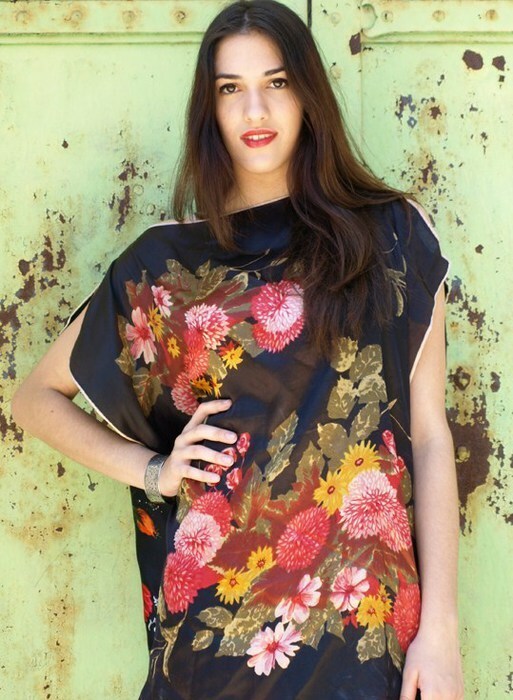 To outfit for the summer the best option is fabric bright colors with floral prints. First, it will perfectly complement your summer rainbow mood, and secondly, inaccuracies, fit and cut will not be noticeable. Furthermore, it should be borne in mind that the fabric for sewing must be well ironed so that the product turned out correctly astrocity. Next you need to cut the fabric. For this purpose, the cutting material should be folded in half face inside and draw a chalk or soap, a quarter circle with a radius of 1.5 m. then you have to cut the fabric according to the markings, as well as on the fold line to get two equal parts. Also, don't forget to cut the top edge of the parts to form the neck. The items received need to astrocyte on the sides, leaving the top 27 cm for the armholes. Next, you should resuturing seams, after which tuck each edge and re-stitch the straight stitch. Tuck and need to stitch and the hem of the dress, the material does not sprinkle. In order to fasten the dress at the shoulders, you need to sew the drawstring. This item is a strip of cloth 5 cm wide and slightly longer neck. Such kulisek should be two. One need to sew the front and the other behind, "face to face", podrachivaya the edge of the fabric. Thus it is necessary to build first the top, then tuck and stitch the side edges, and then sew the hem drawstring, not sewing up the sides. Future plot will serve a strip of cloth with a width of 4 cm and a length of 80 cm, the Material should be folded in half lengthwise and sew, then remove the handle ends, ironed and put in a drawstring. Fasten the braid on the shoulder can be in the form of a bow. Ready summer dress can be worn both at the resort and in town. The day this outfit will look good with wedges with imitation wood and large wooden earrings. On the sea shore set will perfectly complement a straw hat with a wide brim. If dress to pull on the waist wide waistband to wear high heeled shoes – ready original and striking outfit for an evening out. 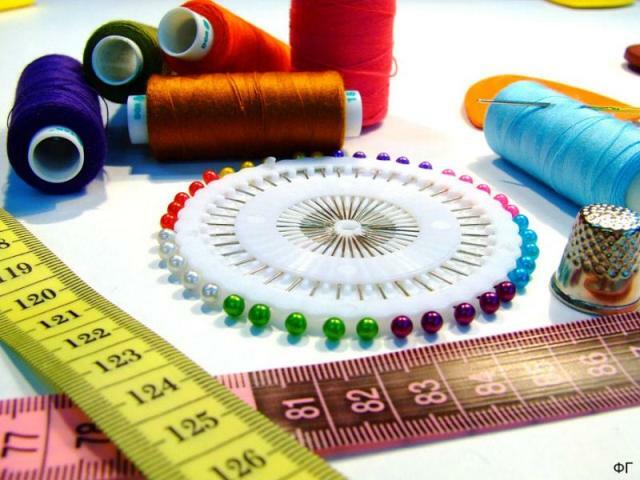 To stitch quickly dress, do not have to be a professional dressmaker, it is enough to have the initial sewing skills, to have an idea and a piece of cloth for its implementation. To sew without a pattern, you home or beach dress tunic-style, original fancy dress. Take a piece of cotton or fabric is stretch and lay on the table. Measure the length of the product, put on fabric and cut. If the fabric width is 80 cm, you will need two cut equal to the length of the product, a four-foot fabric cut in half along the grain lines. Fold the fabric, right sides inside and sew them along the side seams before reaching the upper 20-25 cm, it will be the sleeve. Sew shoulder seams, leaving in the middle of 15-18 cm armhole opening. Seams Ratatouille. On the front half cut of an arbitrary shape and turn over it. For this buy in the store ready codebase or take a break obtachku. Tunic can be worn with a belt or pristrochite on the reverse side, at the waist or under the bust, drawstring. The hole for the input cord take in the side seams or the front. The bottom of the dress fold at 2-3 cm and pull up the hem. To sew a fancy dress from scarves. Measure your chest, hips and the width of the back. Take two large silk scarf – one scarf fold in half, put it from the bend poluobhvat chest and poluobhvat hips plus 6-7 cm on the freedom of fit and slide through a vertical line. The second handkerchief set aside ½ of the width of the back and hips poluobhvat plus 4 cm and connect the dots vertical. Fold handkerchiefs wrong side inside, align the vertical lines, how their pins and lay it on the line on the front side, leaving the armhole. Remove the product inside out and sew at the shoulder seams, leaving not sewn armhole of the neck in the shape of boats.